for samples of work for restaurants and food professionals. Sheeples and the Monthly Planner Recipe Collection are available to ORDER ONLINE HERE. 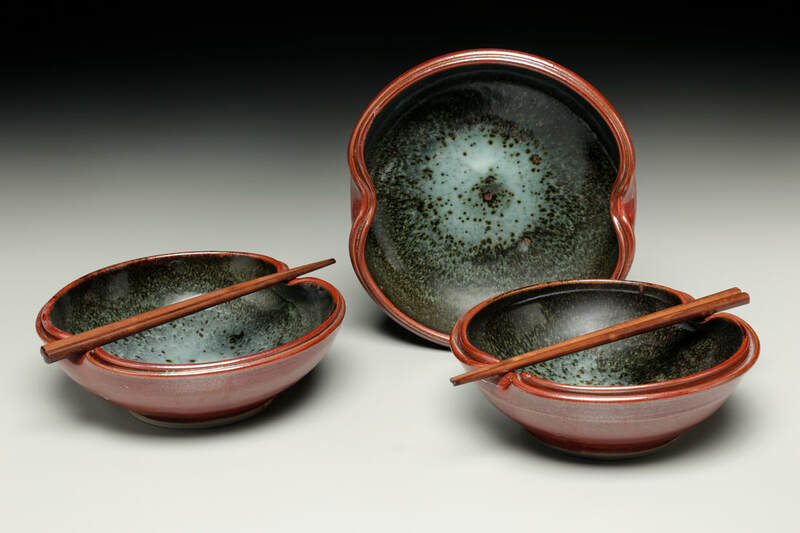 When I make dinnerware, for home or professional kitchen, I sit with my client and design the work to suit individual tastes in form and glaze. The images below represent samples of past work, and serve as a template or suggestion for creating custom work for you. Many individual pieces are available in our showrooms at The Village Potters, and in our Online Shop, but full sets of dinnerware are only available by commission. Custom Dinnerware Set in Wax Resist Tree Design. 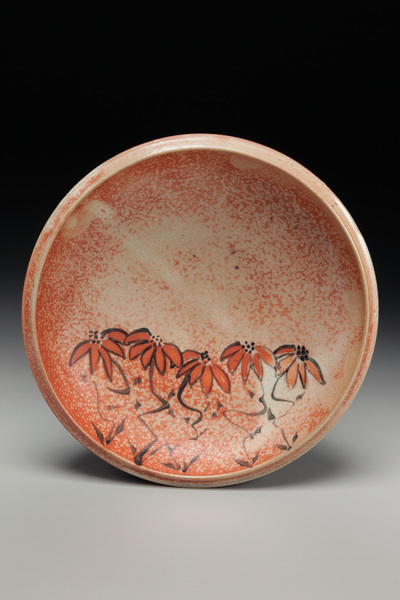 Starry Night and Dancing Brush Dinnerware. 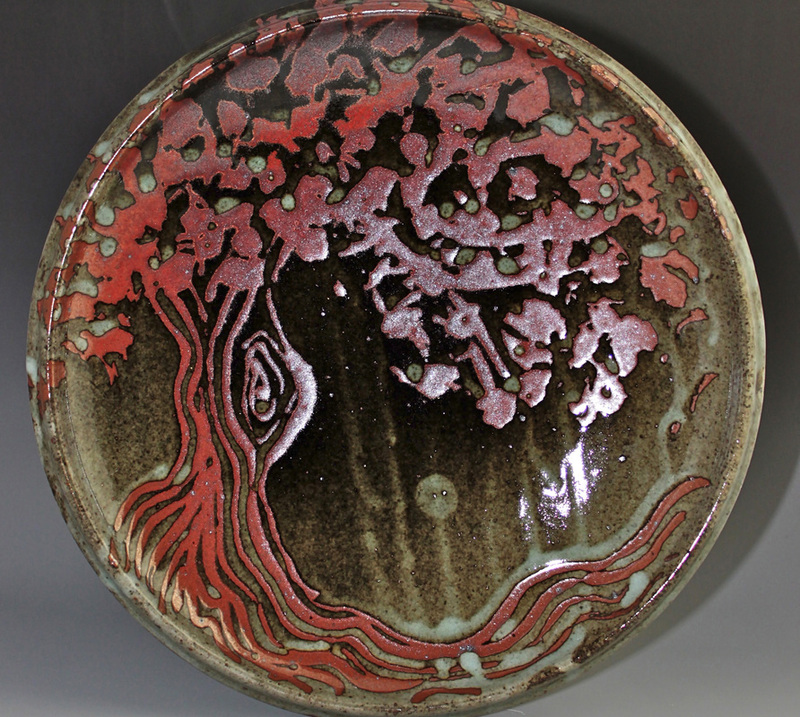 There are so many other ways handmade ceramics can add beauty and be used in a home. 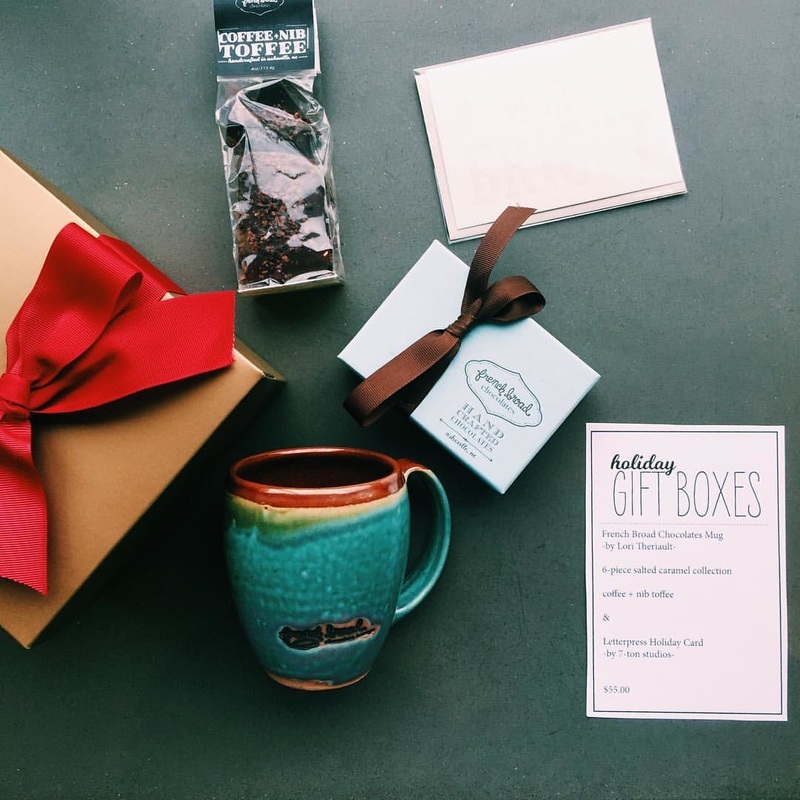 Whether for yourself or for a singular gift, consider the gift of handmade. If you don't see something here that you've had in mind, contact me and let's talk about it! Accessories in matching or complimentary glazes. "Sheeples": Holders for toothpicks, matches, q-tips, bobby pins, air plants, rings. Available with and without hole. "XO" mugs help spread the love! 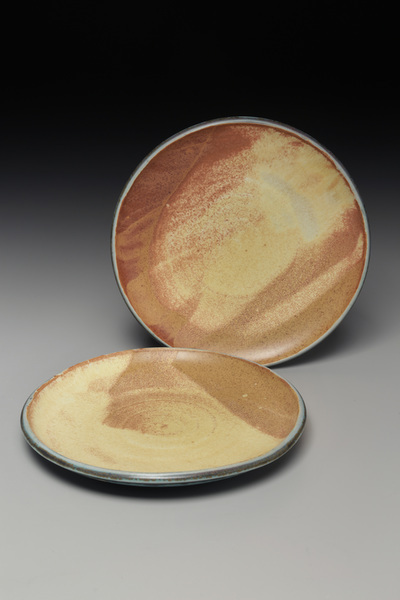 Design accessories to match your dinnerware. 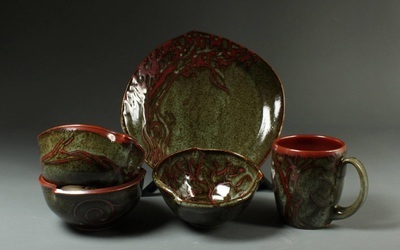 Service pieces that I make for restaurants are durable, dishwasher safe, and custom designed for each client. ​I also make branded work for use in service and for retail sales. Contact me to discuss your special branding or service needs, and let's design something together! 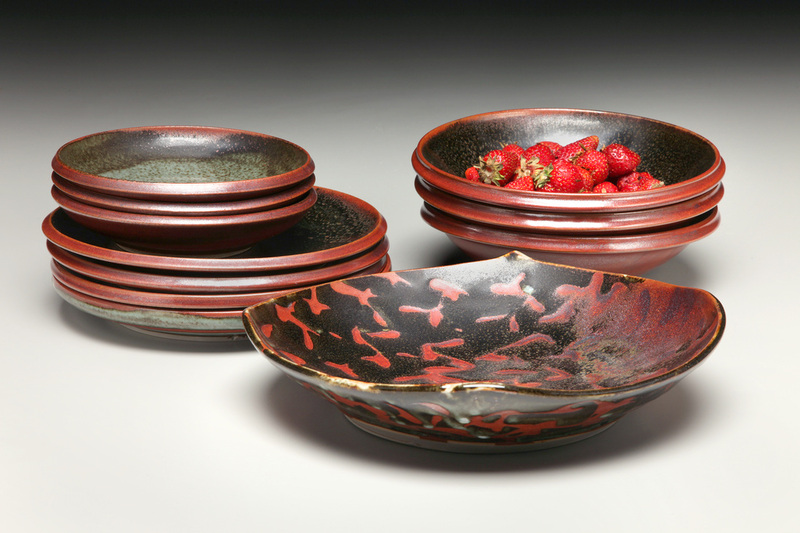 See more in Handmade for Professional Kitchens. Custom platters for Tandem Restaurant, Carrboro, NC. 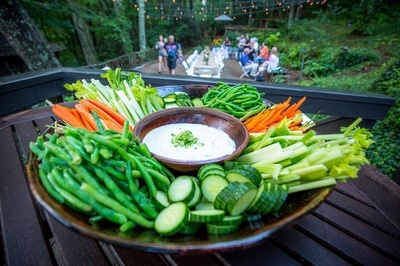 Service Platters for Budy Finch Catering, Flat Rock, NC. Branded Mugs for the French Broad Chocolate Lounge, Asheville, NC. 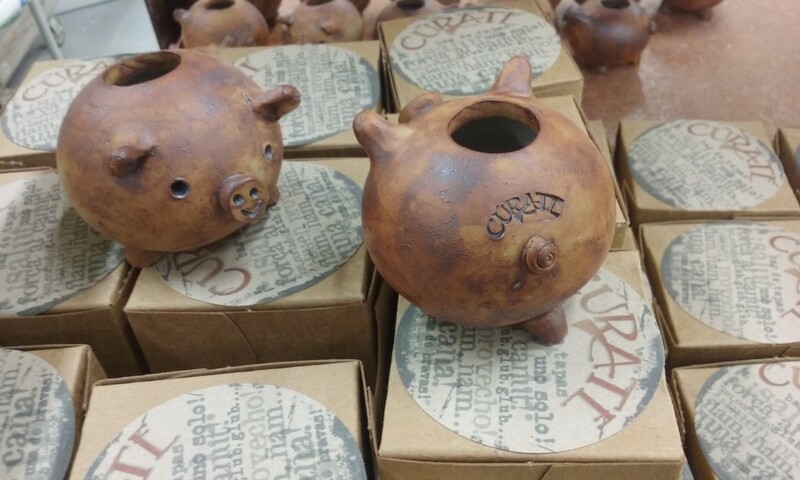 Branded Lucky Pig toothpick holders for Cúrate Tapas Bar in Asheville, NC. 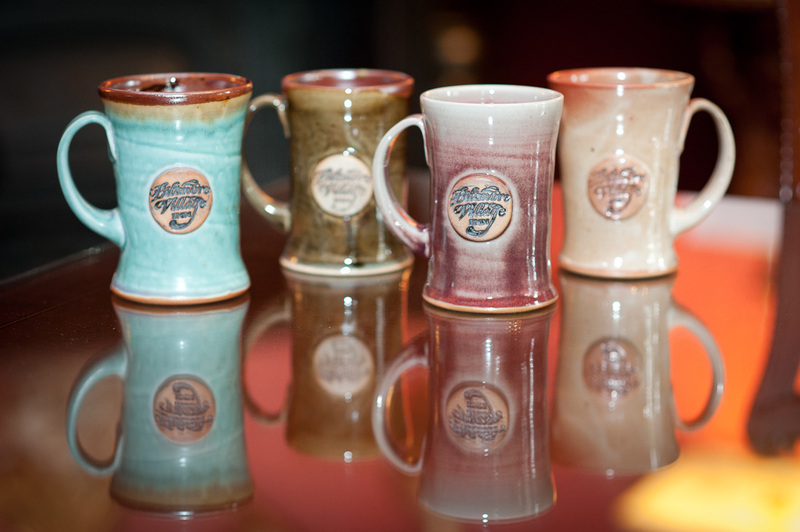 Mugs for Biltmore Village Inn, Asheville, NC. 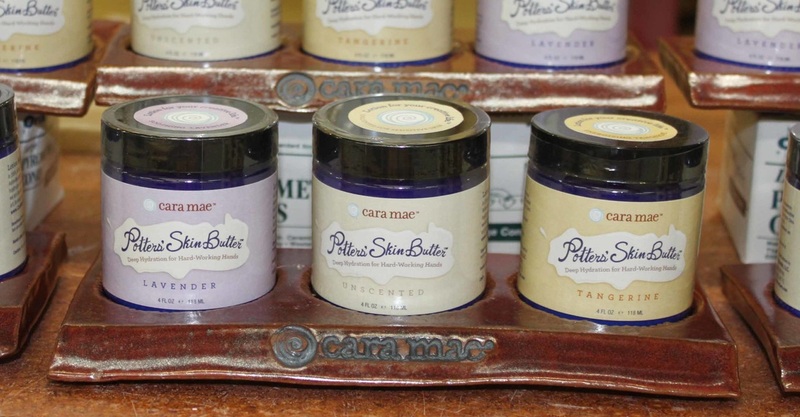 Product trays for CaraMae Skin Care, Asheville, NC.